ibis budget Dubbo offers 65 guest rooms, swimming pool, free Wi-Fi, onsite parking and all-you-can-eat continental breakfast served daily. Located on the corner of the Newell and Mitchell highway and within walking distance of public transport, restaurants & shopping. Ibis budget Dubbo is under 5 mins drive to the popular Western Plains Zoo, Airport, and CBD.Please use Hungry Jacks, Dubbo as your destination in your satellite navigation. With plenty to offer visitors, Dubbo is a popular destination for holidaymakers. 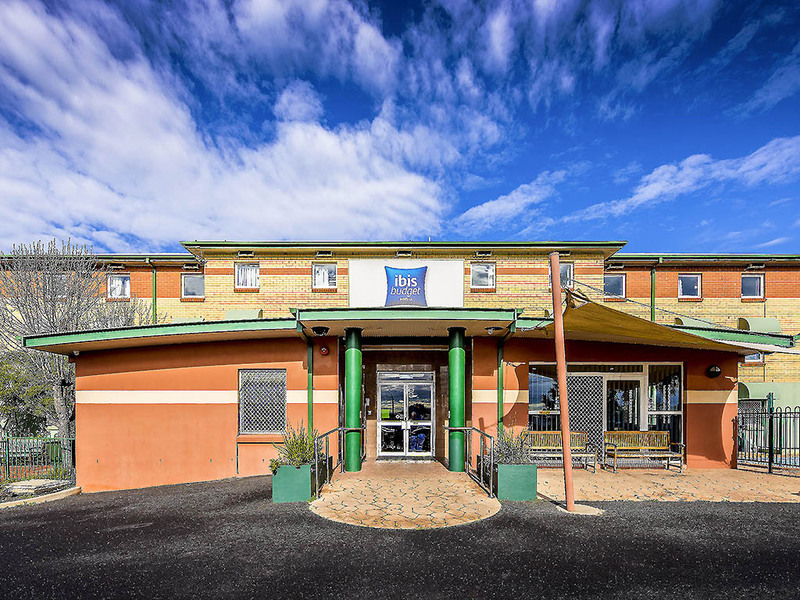 Guests staying at ibis budget Dubbo can enjoy access to Dubbo's many restaurants, bars and shops, as well as its fascinating attractions, such as Taronga Western Plains Zoo. Located within easy reach of central Dubbo, ibis budget Dubbo is the ideal choice for travellers on a budget. Guest rooms at this affordable Dubbo hotel feature contemporary décor, and provide everything needed for a peaceful, relaxing stay and a restful night's sleep. Available in a range of configurations, guest rooms feature a well-appointed ensuite, comfortable bedding and a TV, and are all fully air conditioned. Available room configurations offer accommodation for up to two, three or four guests.